There’s been a lot of talk about how algorithms might know you better than anything – just yesterday, researchers claim computers can predict relationships better than a human therapist. So it comes as no surprise that when it comes to something as simple as snacking, algorithms, too, want to predict my favorite foods. The way Graze, a subscription-based snack box service, does it, however, is not just by your indicated preferences – but also through your demographics. Using a database of 500 million customer ratings, Graze predicts the snacks that you might like based on common tastes in your region. Graze says it even controls where and how often to send chocolate snacks in the spring and fall based on climate data in each state. Some of the offerings on Graze’s extensive menu. When I signed up for the test service, I had indicated that I had no known food allergies and often gravitated to sweet and savory snacks. I also shied away from ingredients like raisins and pumpkin seeds, but you can go through the list of hundreds of snacks to say whether you’d love, like, or deigned to try. My snack box came with a variety of textures and flavors. Despite having said I wanted to try a ton of sweet snacks (chocolate, fudge, cookies), Graze managed to throw in some dentist-preferred things like nuts, miso soup (in paste form that required hot water), and even microwavable popcorn. Every box comes with nutritional information as well. I didn’t tear through each packet right away as some obviously piqued my interest more than others, but they were all snacks I wouldn’t mind eating if they sat around in an office kitchen area. 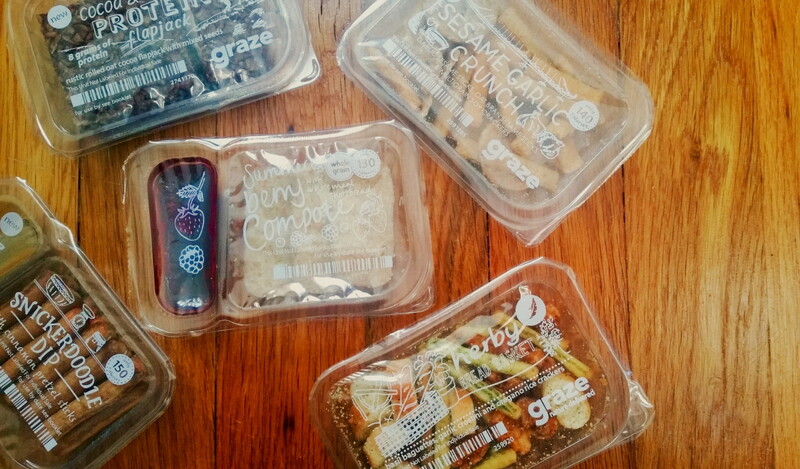 So far, I’ve yet to find a Graze pack I’m dying to re-order – but discovering is part of the intrigue. At $11.99 for an 8-snack box, you’re looking at about $1.50 for a small-ish portion. It’s not exactly cheap, but for a service that figures out new snacks for you to try, those who are into exploring new foods may want to splurge on the adventure. For alternatives, you can also try services like JackedPack, Blissmo, Love With Food and more.